Wildlife health affects us all. 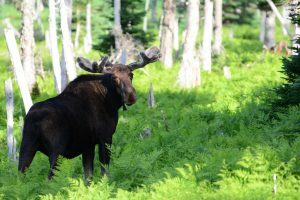 In Canada, wildlife contribute to income and social status, culture and working conditions. Wildlife can be sources of infectious and non-infectious diseases, and they can be indicators of environmental changes. The Canadian Wildlife Health Cooperative (CWHC) relies on the broad wildlife community to help us monitor the health of Ontario’s wildlife. Hunters, trappers, and anglers are key players in the wildlife community. 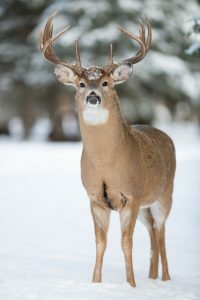 Reports about sick and dead wild animals from people who are out in the field observing wildlife can provide one of the earliest indications that the health status of wildlife populations might be changing. 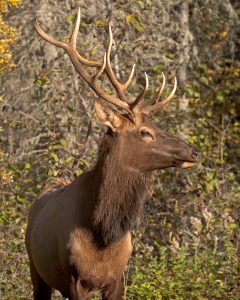 With the fall hunting season upon us, the CWHC would like to remind hunters that we want to hear about anything out of the ordinary regarding wildlife, whether it be an animal exhibiting odd behaviour or abnormalities in meat, such as lumps or bumps. If you encounter anything that seems unusual, you can always contact us to discuss it. Should you find any abnormalities in meat (lumps, bumps, etc. ), we may be able to identify the issue and can work with you to get samples submitted for testing. You can contact your local Ontario Ministry of Natural Resources and Forestry (OMNRF) office, or contact us directly (see contact information below).